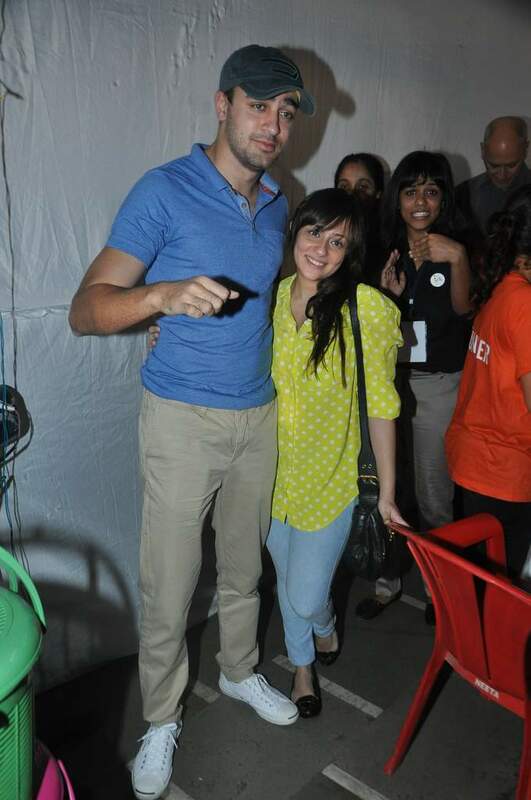 BollywoodGaram.com: Bollywood stars Sonali Bendre and Imran Khan on November 24, 2013 attended the World For All Animal Care & Adoptions (WFA) Adoptathon in Mumbai. During the event, about 150 Indian breed puppies and kittens were available for adoption. The event was also attended by Imran Khan’s wife Avantika, Kalki Koechlin and Vivian Dsena. Celebrities from both TV and film industry were seen attending the event and many of them adopted homeless animals. The organization behind the event helps abandoned animals to find homes. It also has an official Facebook page which features pictures of various homeless animals and encourages animal lovers to adopt and provide a shelter to some of them.